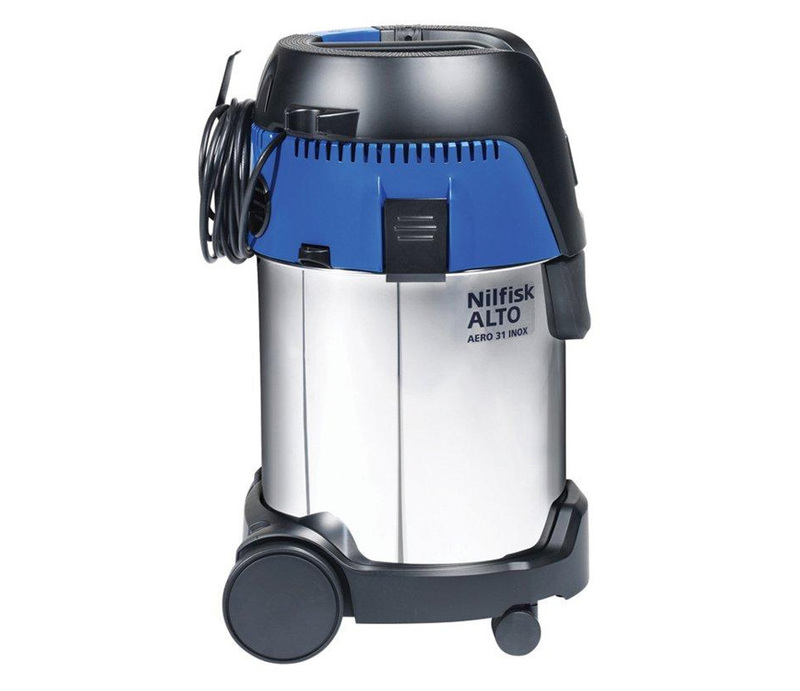 Nilfisk Aero 31 is the big capacity model of the AERO series with high focus on application and end-user needs. Push&Clean filter cleaning system and exhaust air blow function is standard together with flexible and convenient accessory storage. 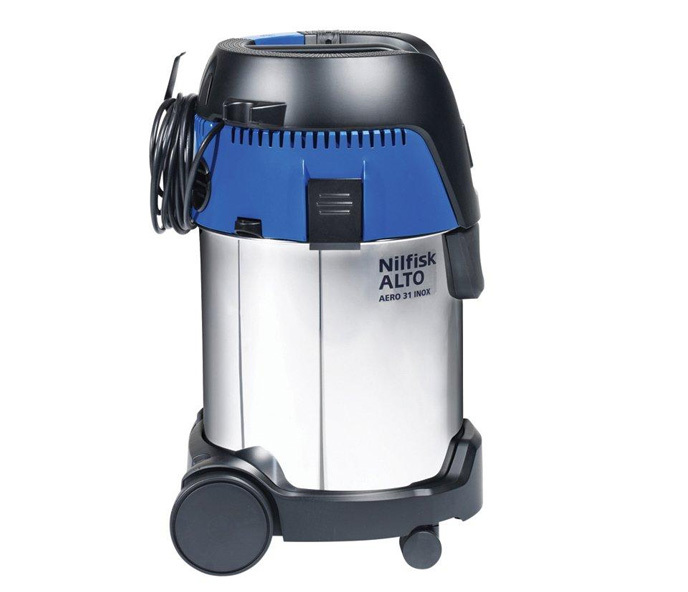 The 30 liter machine has efficient suction performance and a durable stainless steel container with robust trolley. Power socket with AutoOnOff activates the machine by the connected drilling, sanding or cutting tool. The AERO 31 INOX offers great help keeping both air and surroundings clean and reducing the overall sound level.